Yesterday my wife and son took part in the "ice bucket challenge" in support of ALS/MND. It was a lot of fun for us all (I held the camera) and afterwards we each donated to one of the MND charities. We have no personal connection to the charity and I'm not aware of knowing anyone with the condition. Like millions of others, we took part, and donated, because of the viral nature of the campaign. Nothing wrong in that, right? I certainly don't begrudge the attention which has been focused on this debilitating condition, nor the monies which have been raised to fund research and support those who live with it. Others have chosen to use the same "ice bucket challenge" format to raise money or focus attention on other conditions or issues. Some huge amounts of money have been pledged (even allowing for those who may have posted videos of themselves being doused and forgotten to donate). There's surely a sense in which "a pound is a pound is a pound" (feel free to replace with your national currency) irrespective of what motivates the giving. But it's easy to get caught up in taking part in, or contributing to, such fundraising (and fun-raising) events without ever truly engaging. On a personal level, that is largely true of the zip-line challenge I did earlier this year in aid of the homelessness charity Crisis. It was a lot of fun, I met some lovely people, and personally raised over £700. But I'm not sure how much more engaged I am in the issues facing homeless people on the streets of Newcastle, or elsewhere. Hopefully the money I raised will make a real difference for others, but how much difference did the experience make for me? Next month I will take part in a 10 km walk to raise funds for the Alzheimer's Society, and will be supporting Fran in the NAMI walk she's doing on the other side of the Atlantic in aid of the National Alliance on Mental Illness. The NAMI one is different in that I do feel genuinely and personally engaged, but so far I haven't taken the trouble to find out more than the little I already know about the impact of Alzheimer's disease on those living with it, their friends and families. I will raise some money, isn't that enough? Something tells me it may not be. 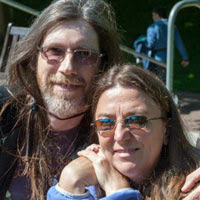 Fran and I are on week three of a 21 day meditation course presented by Oprah Winfrey and Deepak Chopra. Yesterday's meditation was entitled "Being of Service", with the key message "My soul expands when I help others." Looking at things this way, our intention in giving service (financially or otherwise) matters very much. "A pound is not necessarily a pound". True service, true giving, blesses and enriches both giver and receiver, and more deeply and meaningfully than an ice-cold soaking or a 23 second zip-line slide across the Tyne. It doesn't have to be a big thing, but it can be a heart thing. In giving, caring, living, every little bit counts.. 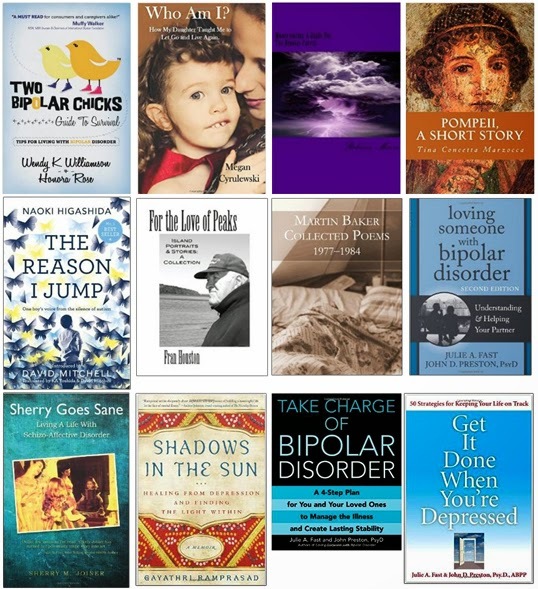 I have bipolar I/manic phase disorder. The psychotic symptoms and/or tendencies I get during mania episodes include schizophrenia, paranoia and delusions (which are different from hallucinations). I know for me it's really important to keep to taking my meds regularly as prescribed. I am on med. management with my psychologist and I see a nurse for my treatment plan. My son is a nurse and is in charge of my med. management at home. Before that, when I was doing it by myself, I'd be okay for a while but during my mania episodes I would forget and take too much, and then have to be hospitalized for a toxic dose. It has taken over thirty years for this to all come together and that is why I am keen to help others if I can. A few friends and I have started using social media to remind each other to take our meds, because we know how important it is. The meds do not cure but they help us to manage our mental/emotional disorders. You have to have the correct diagnoses and a good psychologist that can prescribe the right medications for your specific illnesses. “I–if I may, your honor,” Tyler’s attorney sputtered. Who Am I? 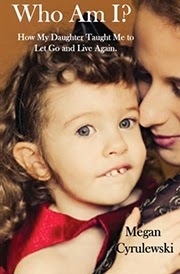 How My Daughter Taught Me to Let Go and Live Again is available in paperback from all good booksellers, Kindle and Nook.